Hi, I’m Sara, an account manager at Mobidea. I’m gonna tell you what a Smartlink is and how it actually works. A Smartlink is a great tool that makes your life as an affiliate marketer easier than ever before. Instead of using several offer links in different campaigns, you create only one Smartlink in a few seconds and implement it in all your campaigns. 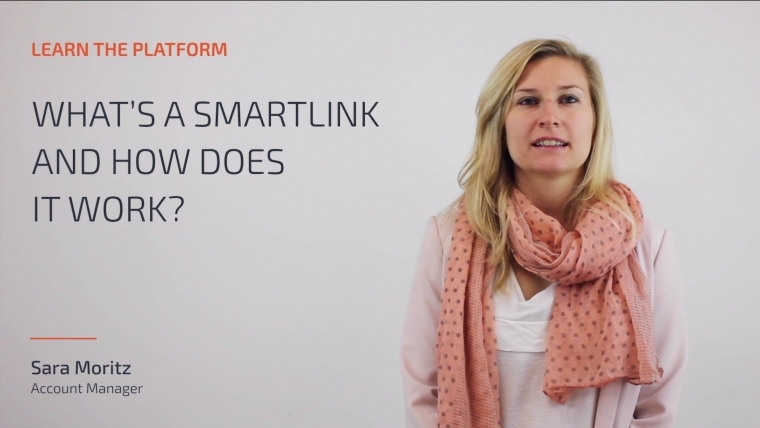 Have you ever wondered what makes the Smartlink so smart? It automatically recognizes where your traffic is coming from and shows each user the best performing offer. It automatically secures the maximum revenue for you. The offer selection is performed by our built-in powerful algorithm, considering the vertical (adult or mainstream), the country, operator, operating system and device type of the users seeing your campaign. When implementing your first Smartlink, you may wonder about the option to choose between several domain names. The offers behind each domain will be the same, no matter which one you choose. As you can see, the Smartlink is really a ‘smart’ option that’s gonna make you get all that sweet cash! Thank you for watching. I hope this was useful. Don’t forget to check some of our other cool videos in the Mobidea Academy. Media Buying Segments: How to Choose Them? Why Should You Use Single Offers on Your Campaigns?